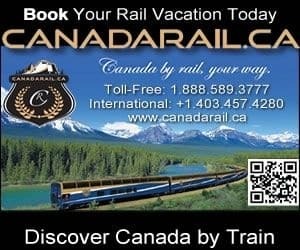 Sunshine Lake is a recreation and activity destination located in the community of High River, Alberta, Canada in the Southern Alberta Foothills of Canada. The lake park is a well maintained park situated near neighbourhoods and located east of the Little Bow Canal. Following the shores of Sunshine Lake is a very popular paved loop pathway. The pathway crosses over foot bridges and rock walls leading to sitting benches and viewpoints. The loop pathway is considered an easy-going, level pathway measuring approximately about 1.5 kilometres. Much of the pathway is exposed to the elements with little shade provided. Bring sunglasses and a hat. The pathway looping around Sunshine Lake connects to - and is part of - the Happy Trails Pathway. The Happy Trails Pathway explores the community of High River, Alberta east to west. 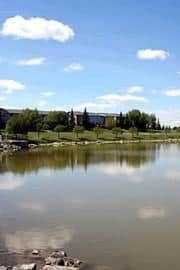 The pathway in the Sunshine Lake area, the lake itself, the large sprawling grass lawns, the sightseeing benches and the Happy Trails Pathway provide an opportunity for many activities in High River, Alberta. Some of the more popular activities enjoyed in the Sunshine Lake area include walking, biking, jogging, birdwatching, roller blading and picnicking. The pathway is also baby stroller and wheelchair friendly. Sunshine Lake also includes a playground for children, a lookout viewpoint with views of the lake and a picnic shelter for picnicking. Next to Sunshine Lake the Happy Trails Pathway connects to another day use area called Emerson Lake.